Every Saturday Mr J and I go out for breakfast, and for months we have made a ritual of shooting photos for Instagram as part of our weekend. During the week I search out backgrounds as I drive through the city, and If I don’t have a location in mind by Saturday, there is spontaneity. Something always pops up that catches my eye. The pale blue hat in the photo above was created by the talented Juliane Gorman of Felt Happiness HERE. This weekend morning interlude sparks my creativity in a new way, and is a practice in playful interaction with Mr. J behind the lens. It also draws my focus to the landscape of the beautiful city that I call home. The hat above was created by a NYC street vendor and was purchased years ago. All photos were taken in neighborhoods surrounding the area where I live and then shared on Instagram, a fascinating platform where I have met many creatives. I have been introduced to new milliners and hat lovers from many countries across the world. The above hat is by Amy Downs HERE and was purchased at The Hat Shop NYC HERE years ago. This alley shot allowed for the lime green and fuchsia felt hat by Guy to be featured against the white wall. This white vintage chapeau has graced the hat room since the 80’s. It has been worn infrequently, but it was the perfect topper for my vintage white spring coat. As always, there’s a hat for every occasion! I’m on my way to NYC as I write this post. I will be attending the book launch for Ari Seth Cohen’s Advanced Style: Older and Wiser, which can be purchased HERE. It’s going to be fun! 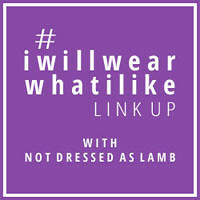 Linking up with Patti’s Visible Monday HERE at Not Dead Yet Style, Catherine’s #iwillwearwhatilike HERE at Not Dressed As Lamb. The photography on your posts is exquisite!. Such great style, patterns, color. I’m curious if you have clothing with you – how does it all come together? I sense some advance planning….. Anyway, the outcome is superb. did you get my earlier comment? Not sure if it went through. Fantabulous!! ..as always..You are truly the most stylish woman I have encountered…a lesson to us all!! Hope you’re having a fantastic time in NYC! Lovely pictures and backgrounds Judith. Have a wonderful time in NY and please send my regards to Debra and Joyce! How wonderful that you are there for the book launch. The backgrounds can certainly make the outfits sings, eh? Have a fantastic time in NYC!! Seeing all these outfits together is quite powerful. Your eye for picking backdrops is keen. You inspire me to do more exploring. And the book launch will be so much fun! I’m glad you’ll be part of it. I agree with Geneva…. but would also add elegant. The blue shot at the top is absolutely superb. I’m sure the book launch will be wonderful. You have such an artistic eye Judith – you selected the most perfect backdrops for each outfit. How fortunate you are to have a couple of creative partners in crime (Mr. J and Daniel) to accompany you on photo shoots. I am with all of you in spirit in NYC. Have a wonderful time (and how could you not). I’m looking forward to the photos. I still don’t receive any email warnings of a new post… sadly enough. So I will be behind. I love all these outfits and hats. I would have made several posts with it haha. You found terrific backgrounds, you are outsmarting Ron. And I adore the white coat. I would love such an item. In my size haha. The hat is perfect with it. But that is always the case with you. Hi Judith, in pic #4 your red boots remind me of David Bowie’s boots in his early 70s videos. So cool. Thanks for sharing. YOUR SHOTS ARE ALWAYS AMAZING! I hope NEW YORK was FABULOUS!!!!!!! I love Saturday morning coffee/brunch with Mr TNMA – and am so pleased that you enjoy your creative interludes. These are some of my favourite photos of you, they feel relaxed and fun and the backdrops are fab. Love how you combine planning with serendipity to create your marvelous hat photoshoots! Adore how your black and white hat interacts with the nearby patterning of your dress and painted background – an inspiration!